High 'Meadow' cotton puff sleeved top, with silk and cotton attachments. Stretch jersey front panel in blue. Pin-stripe side panels. 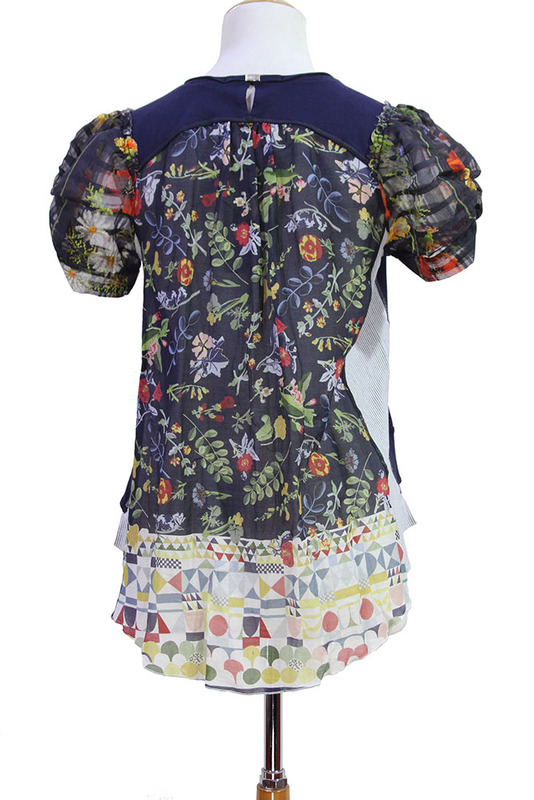 Sheer floral print short, puff sleeves and floral print rear panel with lower geometric shapes panel. Rounded hem and longer at the rear. Round neck with finished trim. Gathered at the top of the rear panel, attaching to the blue cotton yoke. Stunning Summer top, highly recommended!